When you begin the search for web hosting, you readily learn that free means “limited,” and if you want to customize, you have to pay. Things are different when it comes to free shopping carts. Although the limited shopping carts—for example, the ones that limit you to 5 products, 1 photo per product, and a website design that only allows you to change colors—are free, the shopping carts that allow for customization are not necessarily paid. With the rise of the “free, open-source” philosophy, has come a number of well-regarded, highly adaptable shopping carts that you don’t have to pay for. There are, of course, other shopping carts that can be purchased, some outright, and some through paying a monthly rental fee. And as a third alternative, you can hire a programmer to design a shopping cart for you from scratch. 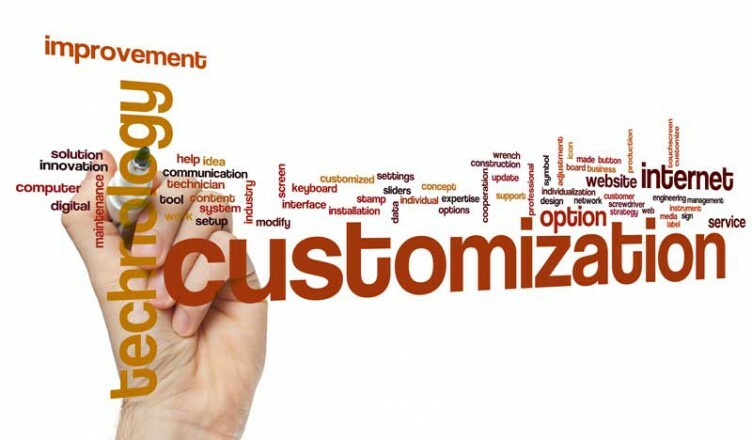 What are the key considerations when choosing between the three types of custom shopping cart? • The first things to consider are your server operating system and the origins of the rest of your website. If you have a less common server operating system, or a website that is already highly developed or developed using a software application that has compatibility requirements. For example, if you have an ecommerce site built from Drupal or WordPress or you’re planning to use one of those apps to build your overall site, you will probably want to look to plug-in shopping carts that are built to integrate with the application you’re using and are customizable. • Another thing to think about is the cost in money vs. the cost in developer time. Carts that are customizable may require a programmer’s skills or be workable for a novice, but it’s important to know which before choosing. If there’s programming to be done, you either have to account for your own time spent on that or paying a developer. • Support is a third concern. Free open-source shopping carts often have user forums, but if you’re going to be depending on an application’s performance for your income, this may not be good enough: you may want a guarantee of support by the person or team who designed the custom shopping cart. You’re more likely to find this when you pay for software. Of course, another possibility is creating your shopping cart in-house, if you have the staff to do so. In this case, your IT team will have full knowledge of the ins and outs of your custom shopping cart, there is no purchase price as such, support is on site, and the shopping cart can be designed to integrate seamlessly with your server OS and meet any specialized requirements your have. In addition, you will be relieved of adhering to someone else’s development schedule and be able upgrade whenever you need to, and not-upgrade when you don’t need to.